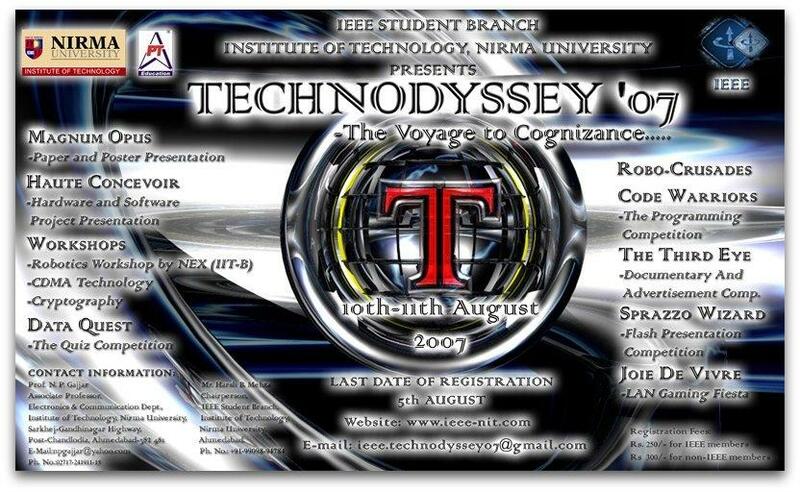 The event was organized on 12-13th of September 2008. Besides the project presentation competition and workshops this time we had a debut of a C++ Coding competition simulating the famous Micromouse event. ABU Asia-Pacific Robot Contest or ABU ROBOCON is an annual international project organized by the ABU, Asia-Pacific Broadcasting Union that consists of 118 broadcasters from 53 countries and regions. Open only to Undergraduate Engineers, its a theme based robotic competition in which the Universities across the nation send their teams to exhibit their creativity and innovative skills. The winner of the national competition then represents the country at international level. Nirma University won the National Robocon, but unfortunately lost to a better opponent China in quarterfinals at international level. China went on and won the international event. I was involved in hardware design of the electronic circuits controlling the autonomous and manual robots. The electrical and mechanical functional co-ordination made us win the biggest robotic competition to be held in the nation. 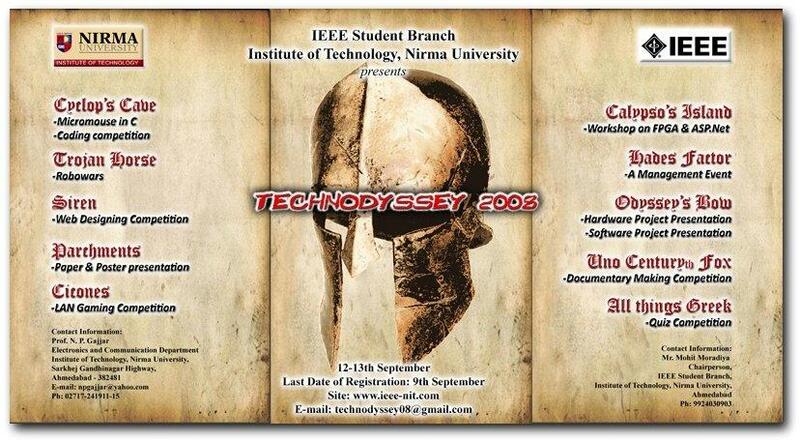 The event, with more than 250 participants from all over India, had a number of competitions such as paper presentation, hardware and software project presentation; documentary making, etcetera. Due to its popularity, it was made an annual event from a biannual event.